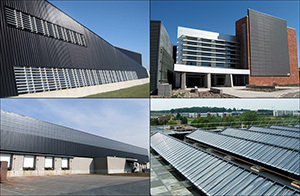 April 9, 2013 – The Conserval group of companies is proud to announce that all of their locations (Conserval Engineering Inc. of Toronto, Canada, Conserval Systems Inc. of NY, USA, and SolarWall Europe Sarl. of Paris, France) have achieved ISO 9001:2008 certification by an accredited registrar. ISO 9001 is internationally recognized by more than 80 nations as the gold standard for quality management systems. The standard, published by the International Organization for Standardization, ensures that organizations are continuously striving to excel at operational excellence through measured performance metrics. This provides customers with a high level of trust in the services and products of ISO certified companies. Conserval went through a stringent evaluation process that reviewed the development and operation of the integrated quality management system; this includes documentation review, gap analysis, internal audits, the enactment of a preventative / corrective action program and customer feedback program. All of these developments coalesce to enable continual improvement and ensure consistent quality for the customer. The ISO 9001:2008 certification validates Conserval’s commitment to quality for the supply of custom engineered (SolarWall®) solar air heating and hybrid PV/thermal systems and solutions for commercial, industrial, institutional, military, multi-residential and agricultural applications. ISO develops International Standards. They were founded in 1947, and since then have published more than 19 500 International Standards covering almost all aspects of technology and business. From food safety to computers, and agriculture to healthcare, ISO International Standards impact all our lives.